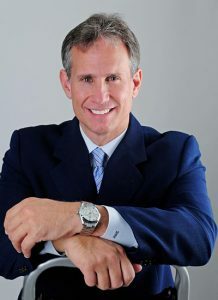 David M. Kubiliun is Chairman of Greenspoon Marder’s Criminal Law division and is renowned for his effective representation of complex high-profile cases, including one of the largest cases prosecuted in the United States under the Foreign Corrupt Practices Act, resulting in dismissal of criminal charges for his client. Moreover, Mr. Kubiliun successfully defended three Muslim medical students accused of planning a terrorist attack in Miami. Additionally, he represented a Mexican migrant worker who was wrongfully shot by a Broward Sheriff’s Deputy, resulting in one of the largest settlements against the Broward Sheriff’s Office. Mr. Kubiliun also famously defended the case of a young woman who gave birth on Bal Harbor Beach and was accused of abandoning the newborn. Proving that his client suffered from a medical condition, Mr. Kubiliun obtained a dismissal of all criminal charges. A sought-after media commentator, Mr. Kubiliun has appeared on international, national and local media outlets including CNN, FOX News, Univision and Telemundo. Additionally, Mr. Kubiliun’s legal advice column, “Preguntale al Abogado David” ran in TVNotas Magazine from October 2010-January 2013. Mr. Kubiliun was chosen by the South Florida Legal Guide as a Top Up and Coming Lawyer in 2007 and 2008 and as a Top Lawyer in Civil Rights and Criminal Defense in 2009. Recently, he was selected as a “Super Lawyer” in Criminal Defense for 2015. Mr. Kubiliun is a former legal consultant for the Mexican Consulate regarding criminal and civil rights issues. Mr. Kubiliun devotes time to various community and charitable causes. Currently, Mr. Kubiliun is the Dream Makers Gala Chair for the fourth year in a row and was appointed to the Executive Board of Debbie’s Dream Foundation: Curing Stomach Cancer in 2015. Mr. Kubiliun attended “Advocacy Day” in Washington D.C. and actively lobbied on behalf of DDF in 2013 and 2014. In addition, United States Congressional Representative Frederica Wilson recognized Mr. Kubiliun for Outstanding and Invaluable Service to the Community. Mr. Kubiliun also served as a member of President Barack Obama’s National Latino Leadership Council.